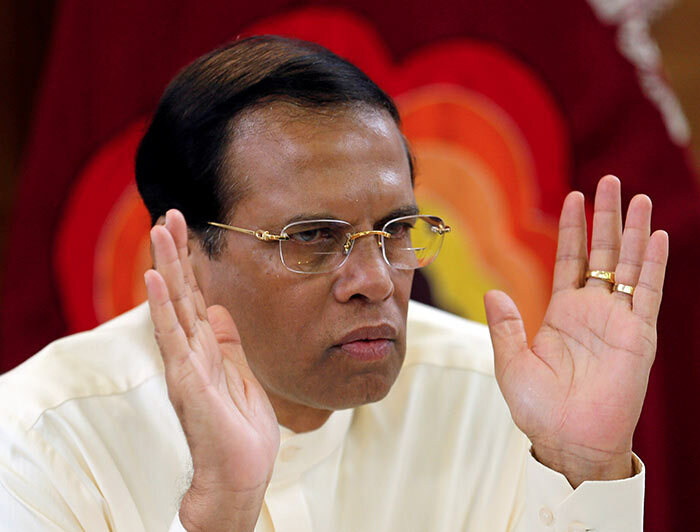 President Maithripala Sirisena on Sunday said he had fixed a date to execute convicted drug traffickers, reiterating his earlier announcement on restoring the death penalty in Sri Lanka. He was speaking at an event on drug prevention, attended by religious heads representing different faiths, and underscored his resolve to eradicate the problem of illegal drug trafficking, braving “any challenge” that might come his way, a press statement issued by the President’s Media Division said. “A schedule is ready,” he said. Amid what officials call “a heightening drug menace”, President Sirisena announced in February that the death penalty would be restored to combat the problem. Sri Lanka has a four decade-long moratorium on capital punishment and his controversial decision lifting that has drawn considerable criticism from international rights watchdogs and local civil society. Further, authorities advertised for the job of a hangman and received over 100 applications, according to a Reuters report early March. According to media reports, at least 25 people have been convicted for drug trafficking. Meanwhile, the Police Special Task force has said it was dismantling the underground network, making a series of arrests and seizing huge quantities of heroin and other narcotics frequently. Hope you are the first to walk the gallows, mate. You dd more damage to this poor wounded country than the drug traffickers. So as well as the drug trafficker you also should be hanged.